Mold spores are everywhere—they travel through the air like pollen. Mold growth can become a problem in as little as 24 hours after a water event. 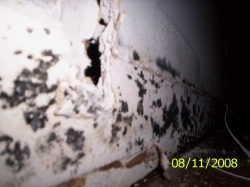 If mold growth is visible, the problem is obvious. Other indicators can be visible water stains, a musty smell, or common allergy symptoms experienced by you or your family members. Our emergency service technicians respond to water events promptly with professional drying and water extraction technology. 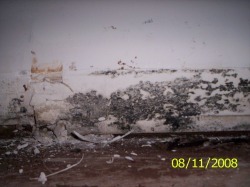 If mold growth results from prolonged excess moisture, further steps may be taken as described below. 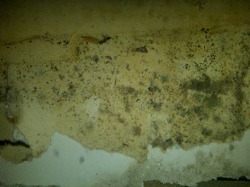 Stop Water Intrusion: Step one in solving any mold problem is identifying and correcting problem sources of moisture. Contain Affected Areas: To prevent the spread of mold spores throughout your home, seal air vents and close doors. Do not remove damaged building materials (drywall, ceiling tiles, etc), or contents (furniture, clothing, or stored items) from the contaminated area. Our technicians professionally contain affected areas with plastic barriers before mold removal. Dry the Structure: Our technicians will professionally dry the structure in affected areas. Until then, you can slow mold growth by reducing indoor humidity. Vent moisture generating sources (like bathrooms and dryers) to the outside, and use air conditioners dehumidifiers, or exhaust fans. Remove the Mold: Absorbent materials, like carpets or ceiling tiles, may need to be safely disposed of if they exhibit substantial mold growth. It is not enough to simply kill the mold, so you should not use bleach or other harsh chemicals. Our technicians kill mold with safer products, and use professional methods to remove the organism.